You’re about to depart on your daily commute, with a million things on your to-do list once you get to work. If only you could work in your car. While we aren’t there yet, the accelerated pace at which automakers and tech companies are introducing vehicle prototypes and automated drive features has left some stakeholders behind. On one hand there’s excitement. On the other hand there’s concern. Nissan addressed both this month when it hosted a forum that explored the future of autonomous vehicles. The event, held in Washington, D.C., gave lawmakers, regulators and other U.S. government officials a close and reassuring look at how Nissan is in the driver’s seat when it comes to automated drive technologies. Andy Christensen, senior manager, Nissan Technical Center North America in Michigan, explained how Nissan’s perspective is different from other approaches that seem focused only on removing the driver from the driving experience. 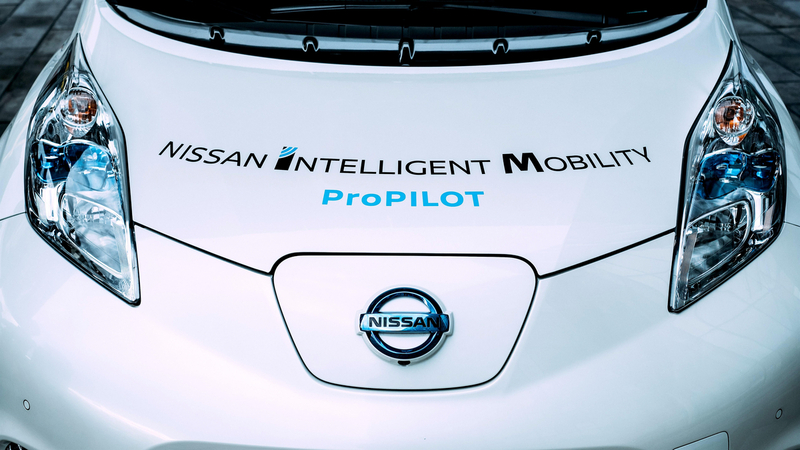 Nissan’s philosophy is not to simply replace the driver in an automated vehicle. Instead, Nissan wants to enhance the driver’s experience by introducing technologies that make cars more intelligent and more exciting partners. As technology begins to tackle the complicated task of driving, today’s driver will first experience systems assisting them, such as Nissan ProPILOT Assist, while they remain in full control. “With continued advances in sensor and processing technology, more of the driving task will eventually be able to transfer from the driver to the system and ultimately allow the driver to do something other than drive the vehicle,” said Christensen. And as lawmakers, regulators and states grapple to understand the opportunities, challenges, realities, misconceptions, present and future of autonomous vehicles, Woodard said Nissan wants to help keep the conversation moving forward. “Bringing our experts to Washington shows our willingness to engage on these topics with the groups and decision-makers who attended,” said Woodard. Among those attending Nissan’s informational event were members of the U.S. Senate and House of Representatives, the National Highway Traffic Safety Administration, the Federal Motor Carrier Safety Administration and the Tennessee Department of Transportation.